Our pets can develop anxiety for any number of reasons: whether it’s adapting to new surroundings, fear of separation, or a particularly loud thunderstorm, anxiety can significantly impact our furry friends just like it impacts us too. The thought of your pet in distress is enough to head to the veterinarian, and while it’s always a good idea to check in on your dog’s health, a medical prescription (and all of its side effects) may not be. 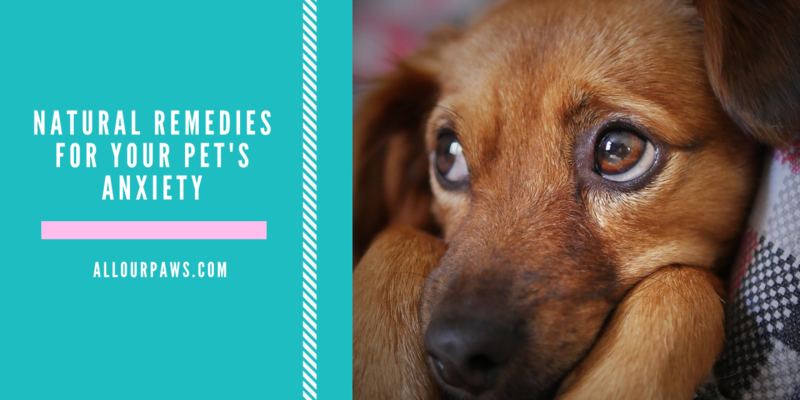 Consider some of these natural remedies that can not only soothe your pet’s anxiety but improve their health for a long, happy life. If your pet has no grasp on a daily routine, this may heighten their levels of stress. 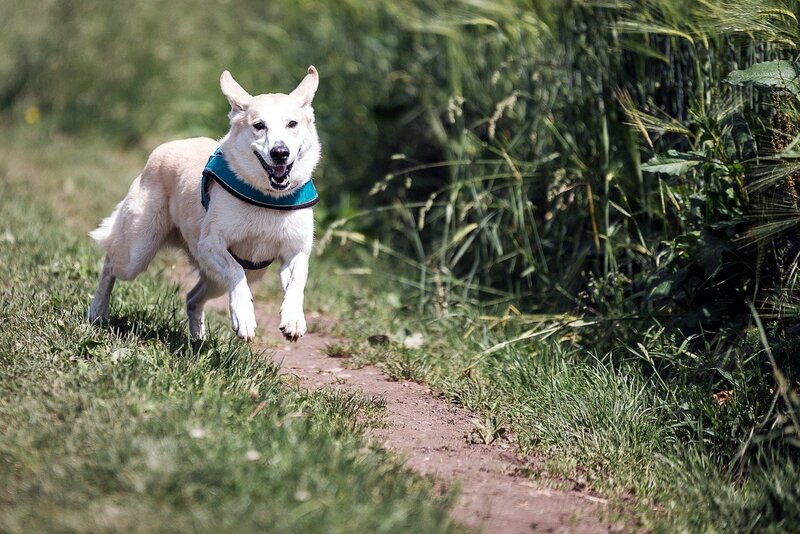 Dogs have the tendency to get anxious the more they find themselves in unfamiliar situations. Keeping consistent timing around important parts of their day – like walks, playtime, and mealtime – helps keep their anxiety at bay. “Most of the time, pet owners do have to do something different to help manage and improve their dog’s anxiety,” explains veterinary behaviorist Meredith Stepita, DVM. 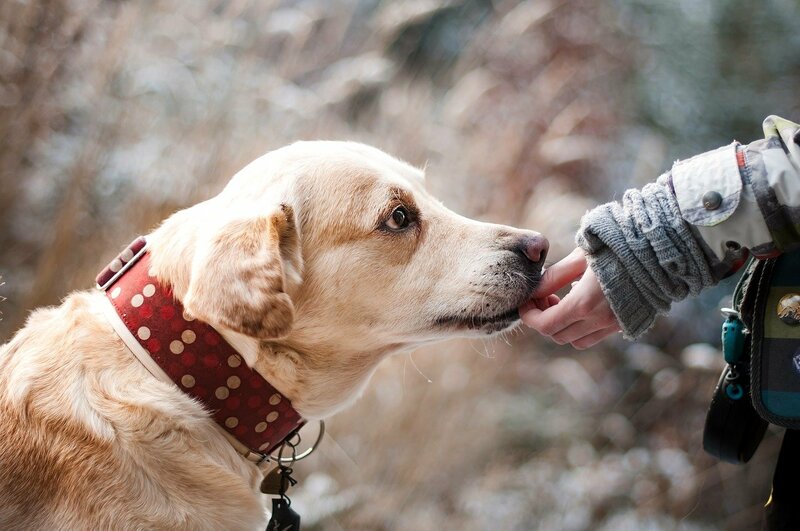 Making sure you tend to your dog’s need can help prevent separation anxiety, an inevitable result of an inconsistent routine. While research on CBD oil’s health benefits is ongoing, experts recommend you check in with your veterinarian before giving your dog any new treatment. “CBD has been shown to be very safe across a wide range of doses in multiple animal species. But if an animal is on other medications, especially ones with narrow therapeutic ranges, a pet owner should discuss the concurrent use of CBD with their veterinarian prior to starting,” says Dr. Tim Shu, CEO and founder of VETCBD. The next time your pet is anxious, it may help to play them some soothing tunes. Studies have shown that classical music, particularly, has a relaxing effect on dogs in stressful situations. A research conducted by the University of Glasgow with the Scottish SPCA observed dogs in a kennel over a two-week period. After playing classical music for the dogs in a high-level stress environment, they found a gradual decrease in their stress levels. If your dog suffers from separation anxiety, try leaving some classical music playing the next time you leave the house. Helping our pets overcome their fear of abandonment, especially with those we’ve adopted, is a gradual process that requires all of your sheer love and patience. However, small steps like providing them soothing tunes to listen to can help soothe their anxiety at least for a little while. Training your dog can be a very efficient stress-relief technique. “A lot of dogs develop stress behaviors out of boredom,” says Dr. Jennifer Coates, a veterinarian in Fort Collins, Colo, “but that can be avoided by simply having some fun together.” Teaching them to high-five or a good game of fetch can be a simple way to take your pet’s mind off their anxieties. Make sure your beloved pet is getting enough exercise, as it can be particularly beneficial for dogs with separation anxiety. Not only will a long walk around the park boost your dog’s health, but it’ll also do wonders for yours at the end of the day, as well. A consistent exercise routine can be one of the most integral aspects of soothing your pet’s anxiety. 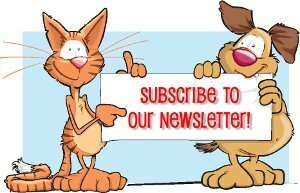 *Disclosure: If you purchase from our links we may receive a small commission, so thank you for supporting All Our Paws when you shop!